▸ WHAT IS THE SPA ENVIRONMENT LIKE? We’ve named our rooms after the type of atmosphere we’ve created…tranquility, sanctuary, serenity, harmony, etc. It’s your time to relax, replenish and restore! For the enjoyment of all spa guests, the use of cellphones and cameras are not permitted in the service areas of our spa unless you’ve made an advance request for a special occasion. We kindly ask that all guests keep conversations quiet. We encourage you to embrace the opportunity to rejuvenate your mind and body by slowing down, speaking softly (or not at all) and enjoy the simply, blissful journey. ▸ WHAT TIME SHOULD I ARRIVE AT THE SPA? Get the most out of your spa experience by arriving with plenty of time to enjoy an offering of a hot or cold beverage and a warm neck wrap. You’ll begin to relax before your service even begins. It’s also beneficial to arrive early so you’ll have a few moments to shake off the dust of the day and have a moment to use the restroom, ask questions, pick out a nail polish color, browse our Eminence Organic Skin Care retail products, etc. Late arrivals will limit the time for your treatment. In an effort to not delay the next guest, your treatment will end at its scheduled time. ▸ WHAT IF I’M RUNNING LATE? It happens to us all. If you can safely call the spa at 503.587.9997 and let us know, we very much appreciate it. While arriving late will result in a shortened service, if you’re having ‘that kind of day’ you most likely need a moment of Bliss more than ever. Come anyway! ▸ WHAT IS APPROPRIATE ATTIRE DURING SERVICES? If you are with us for a spa package or multiple services, slip into one of our luxurious spa robes and comfy spa slippers after your first service. Undergarments are not required for services. Our professionally trained team will ensure that privacy and conservative draping will be provided throughout your service. ▸ WHAT IF I HAVE SPECIFIC REQUESTS OR CONCERNS? Talk with your spa provider about any medical concerns, physical sensitivities or specific treatment goals you may have so we may tailor an effective treatment for you. It is very important that you answer the questions on our New Guest Intake form at your first visit so we can take the best possible care of you. Your Bliss is our goal and we’ll work hard to ensure a setting and service which deliver that to you. ▸ CAN I BRING MY CHILDREN TO THE SPA? We kindly ask that you attend your services without your children in order to maintain our serene atmosphere. We do, however allow children over the age of 5 to enjoy certain spa treatments under the following guidelines: Children under 16 must be accompanied by an adult and all children under the age of 18 must have an adult sign their initial consultation form. It is the adults responsibility to monitor the child's behavior. We are not able to accommodate multiple or groups of young children. ▸ WHAT’S THE BEST WAY TO BOOK AN APPOINTMENT? 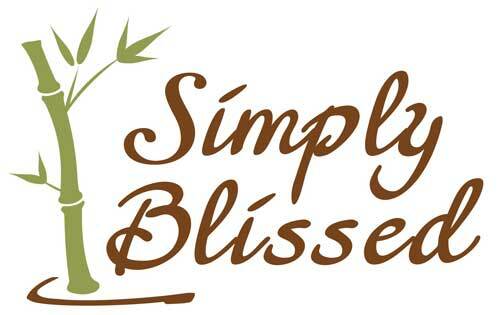 Please make an appointment ahead of time at simplyblissed.com and click ‘book online’ or call 503.587.9997 and one of our Spa Coordinators will gladly assist you. Helpful Tips when Booking Online: • A confirmation email is the best way to rest assured that everything has gone according to plan. If you do not receive an email, the page may have timed out and you may need to begin your booking again. • You may NOT book appointments online with less than 4 hours advance notice. • Our website is supported by most internet browsers, such as Firefox/Mozilla, Chrome, Silk, Edge, etc. however it has a difficult time with Internet Explorer. If this is your only option, please call our spa at 503.587.9997 and we will happily assist you in booking an appointment. • You may choose a specific person to take care of you for your service. • We take all forms of credit cards. • If you create a profile and register, you may need to periodically update your credit card’s expiration date. • We encourage you to register and create a guest profile to enjoy the following benefits; you can more easily and quickly book an appointment as well as purchase gift certificates, see your Loyalty Rewards Points accrual, your product purchase history, your service history and who your therapist was. We can also more easily notify you of specials and upcoming events. If you should experience any difficulty booking your appointment online, please consider the above troubleshooting tips. ▸ DO YOU ACCEPT SPAFINDER GIFT CARDS? Effective January 1, 2017 Simply Blissed no longer accepts spafinder (or their affiliated companies) gift cards.